Massive protests have erupted across the state of Punjab after the murder of Hindu Sangharsh Sena leader Vipin Sharma. The attack comes merely 13 days after Rashtriya Swayamsevak Sangh leader, Ravinder Gosai, was shot dead outside his house in Ludhiana. According to news agency ANI, Vipin, the Amritsar district president of Hindu Suraksha Sena, was shot dead by unidentified assailants in Bharat Nagar area of the city on Monday. 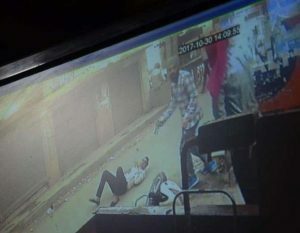 Deputy Commissioner of Police (DCP) Jagmohan Singh said they are trying to identify the culprits from the CCTV footage. “Two people fired several bullets at him. We are trying to extract the photos of the criminals from the CCTV footage,” DCP said. “We cannot specify anything for now. We have constituted a SIT(Special Investigation Team) for investigation. They are raiding different locations in search of clues,” DCP added.